Is Starting A Business With A Tight Budget Even Possible? Businesses of all kinds have to go through a rough patch at any stage of their development. Most of them start with the zeal to prioritize their passion and even start to attract new customers as well. But the entrepreneurial life becomes hard when you have to go from a few customers to have enough customers to sustain your business – especially when you have laid the foundation of your business. They say that there’s no shortcut to success. Even if you’re pouring hefty bucks into your marketing, there’s a 50-50 chance that you’ll be able to make your business last for long. But innovation and tech know no bounds today and without a doubt, the web domain has proved accessible to everyone, including the small businesses with small budgets. There are numerous ways through which a business can smartly operate with a minimal budget. In this article, we’re going to guide you through each step of how you can establish a solid business foundation. Just note that we’re going to discuss some online tools to help you launch a success-oriented business. And yes… it’s isn’t necessary for any business to cross the budget line. Your budget just isn’t the limit you should be watching out for. There are pre-set risk management processes that you can take to minimize risk, check this in-depth article to run the projects as smoothly as possible. So you’re starting out like every normal startup with a limited budget and still don’t want to mess it up. Here are a few simple, foolproof steps to guide your way for making your business sound and stable within a budget. According to the recent statistics, about 64% of the small businesses have a website, which is why you need a website that is capable of catapulting your business and growing your customer base within a short time span. Apart from listing your business on review sites, your very own website leverages you to integrate new ideas with a new approach. You can even add backlink to your site within your social media content that leads your followers directly to your website. However, to add that professional edge to your business, you don’t have to pay much for your website. Many open-source web development software are available, which can help you build your own website without any need for specific technical knowledge. There are numerous HTML-based website builders that you can use with multiple plugins to make your website building journey hassle-free. Once you choose the perfect one for your business, you can go on to pick a domain name of your choice and a hosting service. Just make sure that you have all the flexibility you need for your website to appear fuller and professional. When it comes to choosing the template that resonates soundly with your business, anyone can reach their wit’s end. Easier said than done, it’s a theme or a template that is going to showcase your business as far as its façade is concerned. While many website builders offer their own variety of templates, there’s nothing to worry about with ThemeWagon at your disposal. 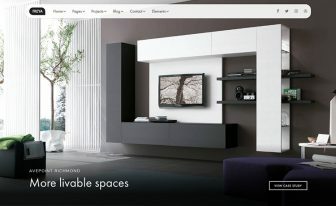 ThemeWagon is an interactive template website, which offers a myriad of free and premium responsive website templates. 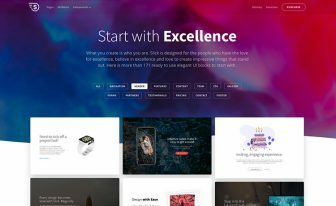 Depending on the type of template you choose, you’re going to access a multitude of tailored features, such as impressive backgrounds, structured layout, customizable widgets, and much more. 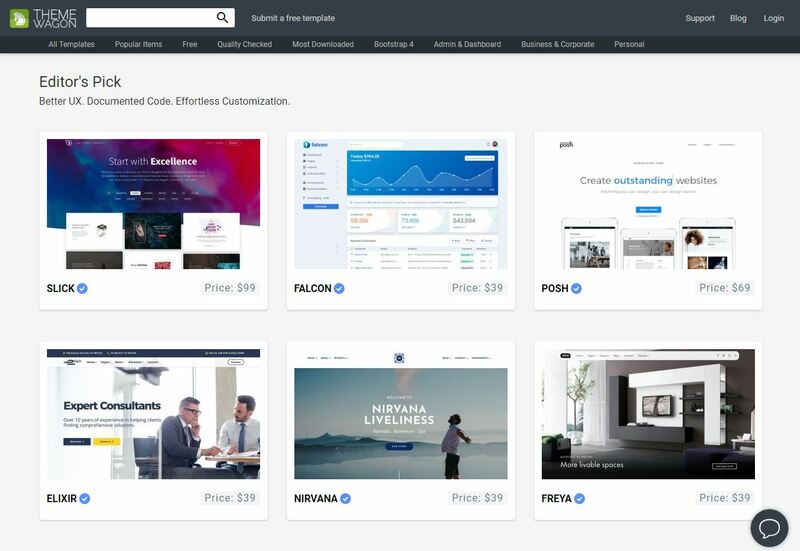 Before you invest in any template, make sure you take a demo theme, utilize the support service, request a trial, find what others say about the theme, and research who created it. Bet your budget won’t be tight enough to call off a deal like this! Congratulations! 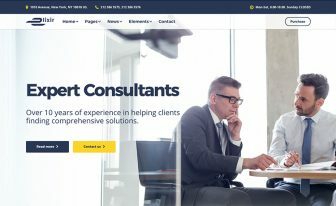 You’ve selected the most suitable theme for your business’s website, but your job doesn’t end here. You still have to customize the website design and integrate the features that narrow it all down to defining your business more sternly. So how do you customize a template as per your requirements? A usual customization approach might require some coding knowledge, which can sound buzzing for some small business owners. To save all the hassle, you need to use an uber template generator, like Slick, which offers you the convenience of Drag and Drop feature. Using this boosting feature, users can generate their desired web pages by dragging the artisan-crafted ‘UI blocks’. 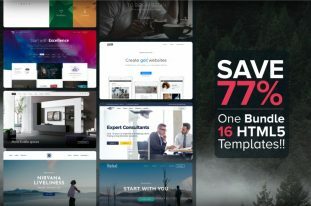 Once you purchase it, you can avail a broad range of in-built features such as interactive animations, +171 unique layouts, video players, popular plugins, W3C-complied HTML webpages, YouTube & HTML5 Background Videos, and everything else you’ve wished for an excellent design dream to come true. Here, you must revise all your business goals and align these template customization fields with your business. Aside from your business’s appearance, what determines the identity of your business? A logo. It’s the perception of how your customers view your business. The quality of a good logo design is that it should be able to interact fluidly with your customers and create a channel where familiarity is based on the practice of ideas integrated into the very soul of your business. And since it’s all too crucial, having it designed is far from the notion of a seamless process. Conglomerates and giants in each field highly prioritize logos, where most have their logos designed by renowned designers. But as a small business, how are you supposed to know what kind of logo you should opt for? 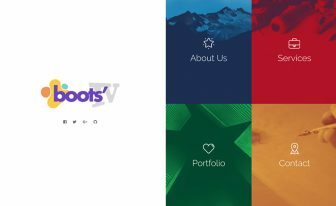 In the midst of all the logo design commotion, you need to research your ways of how to get the ideal design within the realms of your budget. 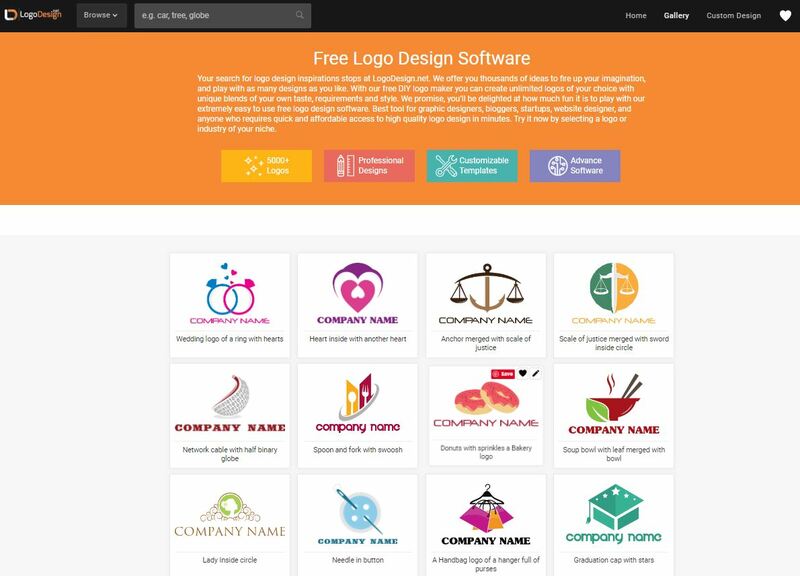 Let’s make it simple for you; for cost-effective and result-driven logos, you can head straight to create a free logo online, where you have the upper-hand for choosing your preferred design from a catalog of thousands. What’s more, you can even customize the logo to add the creativity you think your business deserves. It’s advanced, it’s professional, it’s customizable, and most of all, it’s FREE. It’s obvious that once your website has gone live, you have to pitch its promotion on various other online platforms. The best place? Social media sites. Just like you put all the effort in creating your website and its design, having a social media-based business approach is equally important. You can start by integrating some social media tools, posting content regularly, interacting with your followers, and creating attention-grabbing social media headers and banners. The best way to target your audience is to use Facebook for business and discover the surprises it beholds. You can also use the Facebook Ad campaign to target a broader audience. For a startup as small as yours, running social media ads shouldn’t be a hard thing at all. Now that you have promoted your business on various online platforms, the time has come to create some targeted and personalized relationship with the potential and the repeating audience. How? Email marketing. Do you even know anyone doesn’t have an email address? The answer is probably NO. According to a recent study, 34% of the world’s total population uses email. Surprisingly, 109 billion out of 196 billion emails sent worldwide on a daily basis are business emails. Here the importance of email marketing lies. Put it simply. Email marketing is the most vibrant, flexible and cost-effective way of reaching the potential audience. It costs you nearly nothing per message. Moreover, it’s one of the affordable ways of reaching as many people in a short time and keeping that list growing slowly. 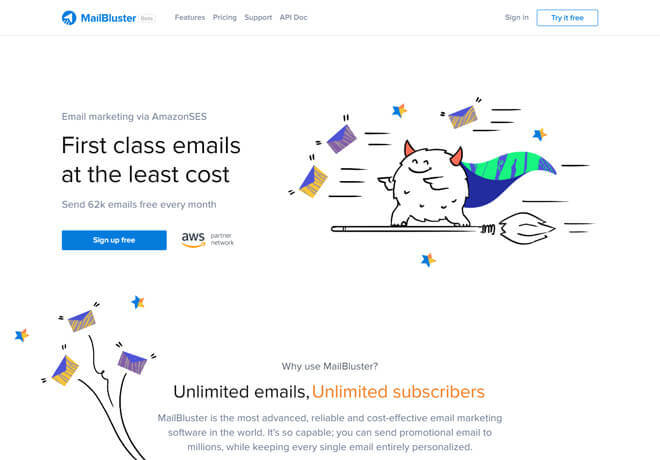 With this in mind, MailBluster is one of the most advanced, reliable and cost-effective email marketing software in the world based on Amazon SES. You can send millions of promotional emails while keeping every single email personal. It’s so cost-effective that it costs you nothing for 62k emails per month. Timewarp delivery, A/B testing, Real-time Tracking & Report, High Deliverability, Developer API, Use personalization tags are some of the core features of MailBluster. Moreover, it allows you to target and re-target subscribers based on who opened (or didn’t open) a specific email, clicked a particular link in an email or what products they bought to keep your subscriber list growing. For a tight budget, email marketing is the best business solution one can come up with. Overall, budgeting your business is a great idea to help yourself get organized. The above-mentioned steps don’t get success overnight because attracting new clients take time, effort, and your energy. Your success factor mainly depends on how you’re constructing your business’s foundation. And once you’ve smartly developed a strong base, there are affirmative chances of attracting prospects. Plus, all the budget-based DIY ideas for your startup are powerless without you. You need to proactively engage with each step and communicate the values you offer. It will help you from losing your potential and generate leads that will sustain your growth process. On a side note, don’t think of wasting your hard-earned money on frivolous ideas and think of doing it the smart way, not the hard way!